Apple trees can grow to a height of 30 feet and a width of 15 feet with a growth of 8 to 12 feet per year. They require rich soil, moderate watering, good drainage and full sun. The trees are usually quite vigorous and heavy producers and not nearly as fussy or disease prone as a Cox's Orange Pippin. 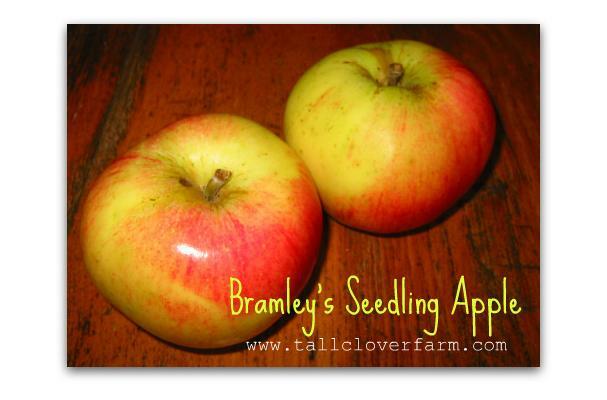 Bramley's are great baking and pie apples.